We know that strong digital strategies rely on sustained user engagement. We also know that promoting and exploring user engagement is a topic that's always on your minds, as it is ours. User engagement means not only pages per visitor, but measuring how that visitor interacts and engages with the story. One way this intersects with broader distribution of stories is via social sharing. After researching and exploring how to promote social sharing, we've developed new social buttons on post pages that we hope will encourage visitors to your stories to share them with friends. So you have a newly designed Core Publisher web site that's responsive and looks beautiful. Here are some things to keep in mind when you're creating stories in Core Publisher (or any content management system) to make sure you get the most out of it. Over time, many member stations have created maps, graphics and other projects for their websites that were sized to fit Core Publisher’s fixed-width layout. But with the responsive mobile-only sites, and Core Publisher going to a fully responsive design, these elements either don’t work or won’t resize correctly to the screen. Now you can use Pym.js to iframe responsively-built projects within Core Publisher stories. Just this week we held our first Core Publisher Office hour. We are using office hours to cover specific "How Tos" in Core Publisher and also have an open Q&A session, discussing any other questions you have about how the product functions. If you have a topic you'd like covered in the next few months, add your topic ideas here. A quick head's up on what this is. 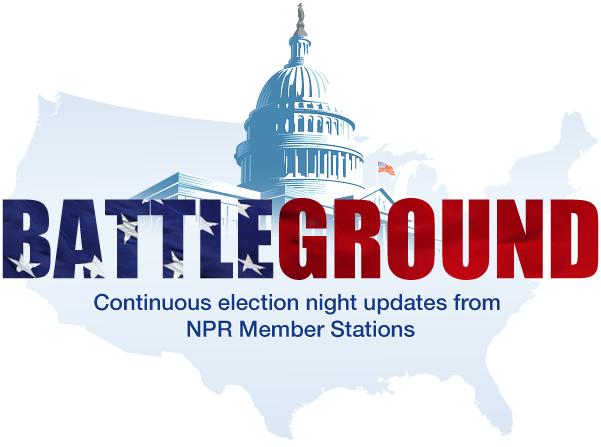 The Battleground is an aggregation of NPR member stations' content produced during election night. It's curated by the staff at NPR Digital Services, including Eric Athas, Teresa Gorman, Will Snyder, Kim Perry and Erin Teare Martin. The list of participating stations and states is posted at the bottom. If you haven't seen our recent webinar with Scott Finn, News Director from WUSF in Tampa, you should. Scott goes into some fantastic detail about how he achieved a six-fold traffic increase on their site through creative online coverage of the RNC. At Digital Services we don't often point out the nice things people sometimes say about us, but this time we got it on tape, so I'm going to set aside convention and share. On Tuesday the team here at Digital Services started rolling out an analytics dashboard for Core Publisher. There's a lot of data displayed (beautifully displayed, we should say) and we're going to take a minute to explain why we chose these numbers and how they can help you in your day-to-day editorial process. Madalyn Painter from St. Louis Public Radio recently shared some impressive numbers around their digital audience growth over the past year for their website and audio streams. Comparing this January to last, our number of unique visitors to the site has increased by 90 percent. Additionally, the number of people listening to our online streams has more than doubled. Thanks for Nathan from KUT News in Austin, TX for the enthusiastic heads-up on this! Google recently introduced the ability for businesses and brands to create Google+ (Google Plus) pages, and we suggest that all stations take advantage of this opportunity to connect with users and promote content. This is a great new tool that can prove to be very powerful in gathering and interacting with your listeners and community. As we all know, one of the goals of Core Publisher is to help you create an active community on your site through your content. One of the easiest ways to use your content to drive traffic is to allow visitors to share it on social media sites like Facebook, Twitter and Google+. Core Publisher harnesses the power of AddThis, one of the most effective online sharing and analytic tools, to allow your users to share your content in ways that you can track.